Home / Blues / Guitar Soloing – The Secret of a Great Start To Your Solo! Guitar Soloing: The Secret of a Great Start To Your Solo! GRAB YOUR FREE ROCK JAM PACK INCLUDING THE LESSON BACKING TRACK, ESSENTIAL SCALES (YOU NEED TO KNOW! 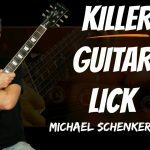 ), LICK LESSONS AND MORE! CLICK HERE FOR YOUR FREE ROCK JAM PACK! Get a powerful start to your rock guitar soloing every time with these 3 great tips. A powerful start to your solo will grab the listeners attention and make them pay attention to what you’re playing, a weak start to your guitar solo and they might not even listen at all. Use these 3 tips for your guitar soloing which will make people listen and have more impact every time! Guitar Soloing – 3 Tips for a Great Start to Your Solo! 00:50 A bad start to your guitar solo can spoil it from the start. Here I demo how lots of players start their solos. It doesn’t really grab the listeners attention and make them want to hear the rest. 1:21 When we play a guitar solo we need to ‘set it up’ and announce to the listener that a solo is coming. If we just stumble into our first lick then we’re not doing this. How can we do it? We need to attack the notes and play them like we mean them! Commit to the notes you’re playing and deliver them with confidence and conviction. This alone will make a huge difference to your solos and how they start. Techniques like palm muting, and vibrato as well as decorative touches like sliding into your first note can help make your first phrase much more compelling. Starting your solo with a bend is an easy way to get a better start because bending can be one of the coolest sounds we can make on guitar. I’m soloing over a backing track in the key of A minor and I’m using A blues scale to solo with. Here I show you some common and powerful bending moves from this scale. ‘Picking up’ into your solo is a very powerful soloing tool. Instead of just ‘playing’ your first note you can ‘lead into’ it with a simple phrase that sets up or introduces your solo. Hear me demo this soloing tip this several times over the backing track. Using a ‘pick up’ is something we hear in all the great players solos. It’s a simple device but it really works. 5:45 Remember there are no ‘rules’ to playing a great solo so don’t follow these guidelines rigidly! Just experiment with each one and see how you can use it. You’ll quickly hear a difference to the start of your solos if you’re not using these devices already. Have fun and see you again next time!